TPP Japanese Woodcarving Workshop Returns Sun. 4/28 1-4pm! Japanese Woodcarving Workshop Silver Lake, Los Angeles. The Plant Provocateur supplying Silver Lake, Echo Park, Atwater Village, Los Feliz, and Burbank. Many have asked about it and now they are back!!! Master Woodcarver Yo Takimoto and his meditative Japanese Woodcarving Workshop return to The Plant Provocateur Shop on Sunday, April 28th from 1pm-4pm. Yo teaches the meditative art of Japanese Kikezuri Woodcarving. The art of Kikezuri asks the participant to leave their intentions behind and allow the wood's nature to emerge as you carve. It's a very relaxing and surprisingly soothing process. If you haven't experienced this amazing workshop...here's your chance! A brilliant way to de-stress and decompress. Workshop participants are provided with wood at the time of the workshop, tools for carving, and instruction. You make and take what you carve. The workshop session is limited to 8 people. Class fee is $65 which includes all materials and instruction. Workshop session takes place on the patio at The Plant Provocateur. Event is 3 hours long. Tickets are available through the 'SHOP' menu above. The Plant Provocateur shop is located at 3318 W. Sunset Blvd. on the back patio behind Muddy Paw Coffee at 3320 W. Sunset Blvd., next door to Night + Market Song Thai Restaurant. Metered street parking is FREE on Sundays! TPP Workshop Series: Houseplant Care + Culture Sun. 3/17 12-2pm! Houseplants. Workshop. Silver Lake, Los Angeles. The Plant Provocateur supplying Silver Lake, Echo Park, Atwater Village, and Los Feliz. Spring is almost here! Get into it! I’m so ready for spring. What an amazing time to feel the healing positive vibes of plants. The Plant Provocateur is offering a workshop for those interested in growing and knowing houseplants. Houseplants can freshen an environment, reduce stress, and improve well-being. It's time to have some in your life, don't you think?! Come learn about various hip houseplants to grow, how to care for them, and add some houseplant style to your lifestyle profile. Workshop fee is $50. Workshop is limited to 6 people. Tickets are available through the 'SHOP' menu above. Workshops are held on the patio at The Plant Provocateur shop in Silver Lake. TPP is located at 3318 W. Sunset Blvd. on the back patio behind Muddy Paw Coffee at 3320 W. Sunset Blvd., next door to Night + Market Song Thai Restaurant. Metered street parking is FREE on Sundays! Plant-A-Palooza Is Going On At The Plant Provocateur! Pilea peperomioides. Chinese Money Plant. Mimosa pudica. Sensitive Plant. Jasminum polyanthum. Jasmine flowers. Silver Lake, Los Angeles. The Plant Provocateur supplying Silver Lake, Echo Park, Atwater Village, and Los Feliz. Hello Plant Provocateurs… This just in. A new crop of gorgeous Pilea peperomioides is in shop. For a limited time, I’ve got lush 4” for $16 and 6” $30. First come, first served! Get them while supplies last. Also, newly in stock are Mimosa pudica ‘Sensitive Plant’. 4” plants $8.95. Do you know about the ‘Sensitive Plant’? They’re a much sought after curiosity because of their response to touch and other stimulation. They respond by rapidly closing and folding their leaves almost instantly. They also produce sweetly scented pink powder puff-like flowers. They are certainly a curiosity to watch and grow! And for those longing for the dreamy days and nights of spring, got some full and budded Jasmine aka Jasminum polyanthum in stock. Their buds are about ready to bust out some of the most dreamy jasmine scent you can imagine. One whiff and you’ll be transported to the romantic dream weaving of a spring night. 4” $10.95. All plants pictured are in stock while supplies last. Shop hours this weekend, Fri + Sat 11-6 and Sun 12-5. As many of you know I do not usually have cut flower bouquets on hand, but I do accept special requested custom orders for both plant and floral bouquets. So…next week is Valentine’s Day. For this special occasion if anyone is interested in The Plant Provocateur creating something special for their valentine, I’m accepting orders through end of day Monday 2/11. Orders will be available for pick up 2/14 Valentine’s Day at The Plant Provocateur shop. I will also accommodate as best I can, those interested in local delivery for 2/13 + 2/14.. Call 323-774-4836 during shop hours or click VDay Orders link to send an email for pricing, to place an order, and delivery info. TPP Open Christmas Eve 11am - 3pm. Come Thru! Hey, are you looking for last minute gifts? I’ll have the shop open tomorrow, Monday, Christmas Eve from 11am-3pm! How about something botanically inspired? Something that connects to nature? Something that conjures the calm and serene? I’ve got chic and unique items that make perfect gifts and stocking stuffers. Come thru! TPP Holiday Wreath Workshop Sun. Dec. 16th 12noon-2pm! I am very excited to announce that I will be holding a Holiday Wreath Workshop at The Plant Provocateur on Sunday, Dec. 16th from 12noon to 2pm. Limit is 4 people. I will be teaching you how to create a stunning holiday wreath that is both festive and beautiful using The Plant Provocateur method. The workshop is $125 per person. This includes instruction, wreath materials, and premium plant materials. Each participant will leave with their very own extraordinary creation. The event takes place at The Plant Provocateur Shop on the patio. Please note, this is a hands-on workshop and involves working with materials that contain sap and may also leave color on hands and clothing, so dress appropriately. Tickets must be purchased to participate. To purchase tickets click the following link: Holiday Wreath Workshop Tickets. The Plant Provocateur is located on the back patio behind Muddy Paw Coffee at 3320 W. Sunset Blvd. and next door to Night + Market Song Thai Restaurant. Nearest cross street is Micheltorena. Metered street parking is FREE on Sundays. L.A. Times Likes The Plant Provocateur! The Plant Provocateur gets a mention as one of the L.A. Times favorite places to shop for plants in Los Angeles!!! I’m honored to be featured on such a list!!! The Plant Provocateur Will Be CLOSED Sat. 6.23 For A Special Event. 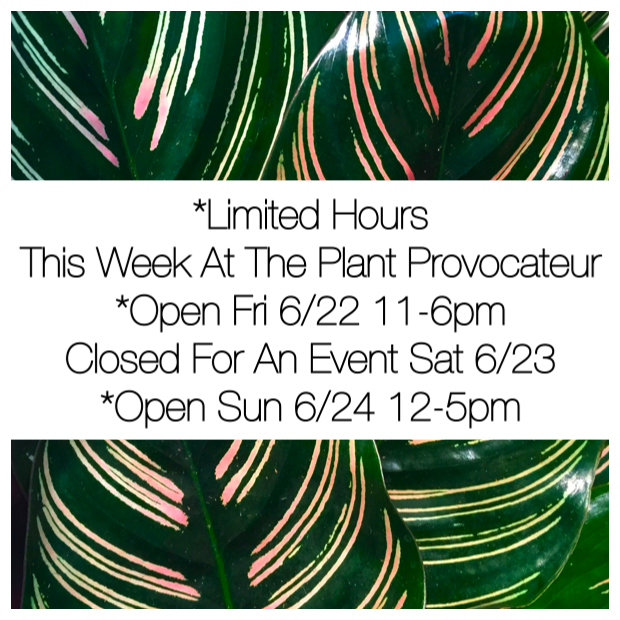 The Plant Provocateur will be closed Saturday, June 23rd for a special event. The shop will have limited hours this week. The shop is OPEN Fri, June 22nd 11-6pm and Sun, June 24th 12-5pm. I'll resume regular hours the following week. Thank you for your support. TPP Limited Edition Outdoor Plant Sale This Weekend! The Plant Provocateur Limited Edition Outdoor Plant Sale, this weekend, in Silver Lake, Los Angeles. The Plant Provocateur supplying Silver Lake, Echo Park, Atwater Village, Los Feliz, and DTLA. Now here's a little something to get excited about! This weekend I'll be having a one off Limited Edition Outdoor Plant Sale of select plants from The Plant Provocateur Botanical Garden. If you're looking for something that you don't normally find at your local plant nursery, you might want to check this out. I've got some unique outdoor curiosities for you. Selection is limited and it's first come, first served. This is a semi-evergreen vine that can grow 15-20 feet in length and width. Gives a great semi-tropical look to any garden. It's a great vine for those seeking a semi-secure barrier along a wall. This vine has stems covered with thorns, that it uses to secure itself to surfaces and climb. It has lush, big leafed foliage, compared to other potato vines, and it produces up to 2 inch wide purple-blue flowers that slowly fade to lavender. Solanum wendlandii likes full sun, regular water, and well-draining soil. It's a fairly fast grower. I have them in 5gal containers. $15. Now for real plant freaks out there...this is a real find. Strobilanthes gossypinus is rarely available tropical shrub. It's texture and color contrast are captivating. First, the foliage feels like lusciously soft cottony velvet. The foliage has a silver base color covered by gorgeously soft goldenish white hairs, giving it a regally luxurious vibe. Note: image was taken at sunset so it's super golden. In most cases it's a soft white gold color. Such a gorgeous plant. I propagated these from a plant I got from superstar Landscape Designer, plant hunter, and talented potter Dustin Gimbel. These shrubs can grow 3-4 feet tall and wide. They like part sun/part shade conditions and regular water. 4" Plants. $10. I'm super excited to offer what I think is one of the most lovely vines in the world. 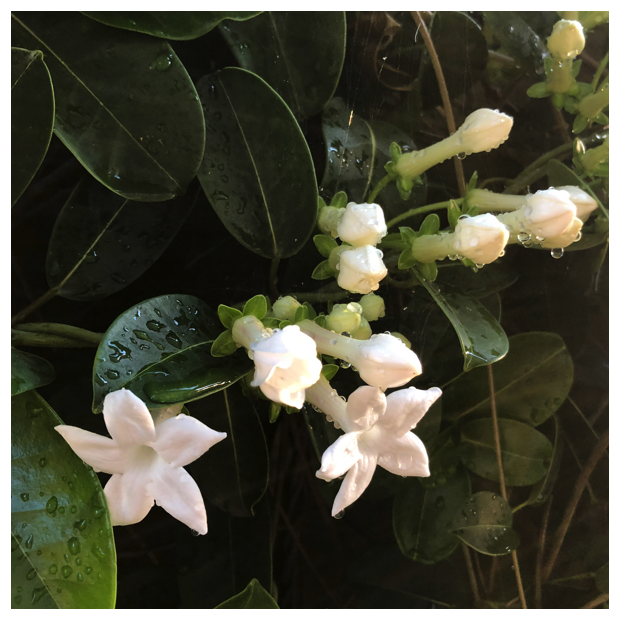 Stephanotis floribunda is a rope-like vine that produces beautiful white trumpet flowers with a most beautiful fragrance. You may have seen the flowers used in a wedding bouquet or boutonniere. They're also used in Hawaiian leis. I first discovered this vine while vacationing on Kauai some years ago. The fragrance got me! I can only describe it as heavenly. Now you too, can grow your own! I've grown this vine for the last few years and collected seed from it. From those seeds, I offer you your very own Madagascar Jasmine 'Baby' Vine in 4" pots. These vines like part sun/ part shade and regular water. $5. The Plant Provocateur Weekend Bud Vase Sale, Select Styles 50% Off in Silver Lake, Los Angeles. The Plant Provocateur supplying Silver Lake, Echo Park, Atwater Village, Los Feliz, and DTLA. Where my flower people at? TPP 50% Off A Selection Of Bud Vases! This weekend. Need a hostess gift? Want to display some plant love? The Plant Provocateur is offering a different selection of gorgeous styles! While supplies last. Shop hours Fri + Sat 11am-6pm and Sun. 12-5. 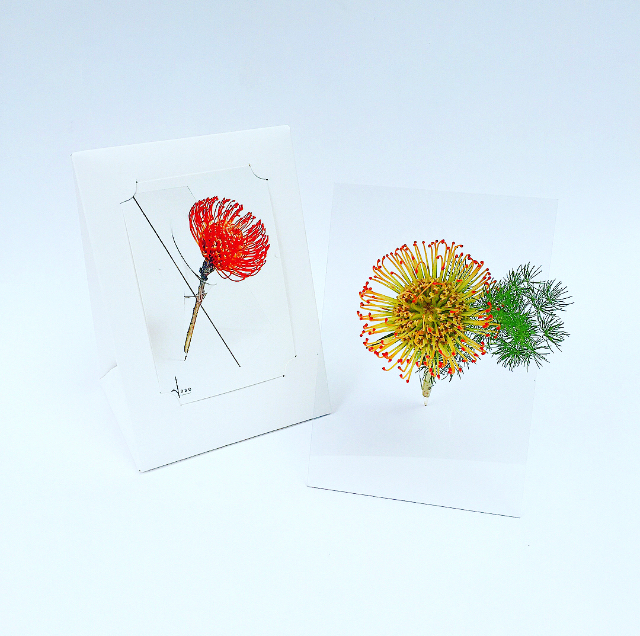 TPP Kokedama 'String Garden' Workshop Sun 6/10 12-2pm! Kokedama Japanese 'String Garden' Workshop in Silver Lake, Los Angeles. The Plant Provocateur supplying Silver Lake, Echo Park, Atwater Village, Los Feliz, and DTLA. It's Back!!! The Plant Provocateur will be holding a Kokedama 'String Garden' Workshop on Sunday, June 10th from 12noon -2pm. Kokedama are cool little moss ball gardens that can hold and grow plants. You can hang them up or place them on a pedestal. Participants will learn how to create, build, and care for these amazing little individual green gardens of goodness. This is a hands-on workshop so please come prepared to get your hands dirty. Each participant takes home what they create! The Plant Provocateur is located at 3318 Sunset Blvd., in Silver Lake. Cross street is Micheltorena. Patio entrance is located next door to Night + Market Song Thai restaurant and behind Muddy Paw Coffee at 3320 Sunset Blvd., Los Angeles, CA 90026. Sunday metered street parking is free! TPP Mother's Day Floral Design Workshop Sun. 5/13 12-2pm! Floral Design Workshop. Mother's Day. Silver Lake, Los Angeles. The Plant Provocateur supplying Silver Lake, Echo Park, Atwater Village, Los Feliz, DTLA, and Los Angeles. Last Minute Announcement!!! 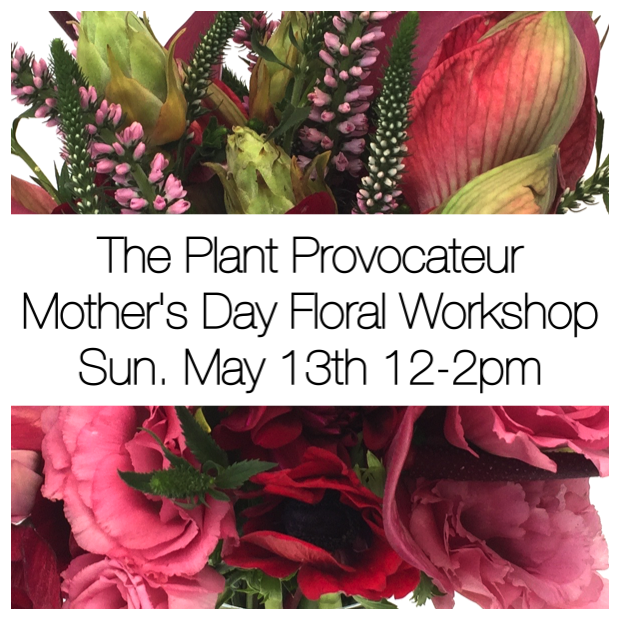 Come experience The Plant Provocateur style of floral design this Mother's Day with Mom or just yourself. This workshop serves as an escape into a world of beauty, creativity, and relaxation with flowers. I call it my Floral Spa. Each participant will make (1) Cut Flower arrangement (aka 'Floral Art') to take home and love. A beautiful bounty of hand-selected flowers, foliage, and other flora will be provided. Glass vessels and work tools will also be provided. As part of the workshop process, I will share some of my own insights into what techniques and tricks I use when creating my floral art. Workshop Fee is $85. This includes all materials and instruction. Workshop space is limited to 6 participants. Registration ends Fri. 5/11. Tickets are available through the 'SHOP' menu above. The Plant Provocateur is located on the back patio at 3318 Sunset Blvd., in Silver Lake. Entrance is between Muddy Paw Coffee at 3320 Sunset Blvd, Los Angeles, CA 90026 and Night+ Market Song Thai Restaurant. Nearest cross street is Micheltorena. Sunday metered parking is free! TPP Japanese Woodcarving Workshop Sun. 4/15 1-4pm! Japanese Woodcarving Workshop Silver Lake, Los Angeles. The Plant Provocateur supplying Silver Lake, Echo Park, and the areas of Atwater Village and Los Feliz. The Plant Provocateur Workshops for 2018 continue with the return of Master Woodcarver Yo Takimoto and his meditative Japanese Woodcarving Workshop. Yo teaches the meditative art of Japanese Kikezuri Woodcarving. The art of Kikezuri asks the participant to leave their intentions behind and allow the wood's nature to emerge as you carve. It's a very relaxing and surprisingly soothing process. If you haven't experienced this amazing workshop...here's your chance! A brilliant way to de-stress and decompress. Workshop participants are provided with wood at the time of the workshop, tools for carving, and instruction. You make and take what you carve. The workshop session is limited to 6 people. Class fee is $65 which includes all materials and instruction. Workshop session takes place on the patio at The Plant Provocateur. Event is 3 hours long. Tickets are available through the 'SHOP' menu above. Pilea peperomioides. Chinese Money Plant. Silver Lake, Los Angeles. The Plant Provocateur supplying Silver Lake, Echo Park, Atwater Village, and Los Feliz. It's Back!!! Pilea peperomioides is back at The Plant Provocateur and in stock. Better yet, they're only $20 bucks each. Yep, that's right, only $20 bucks for the HOTTEST plant of the moment. This new crop I'm bring you are lush, plump, and poppin' full of foliage. I've been hearing of people paying BIG DOLLARS for a single leaf cutting of this plant. And even BIGGER DOLLARS for plants this size! Well, guess what, the craze that started 2 years ago at The Plant Provocateur is back! And now everyone can have one. 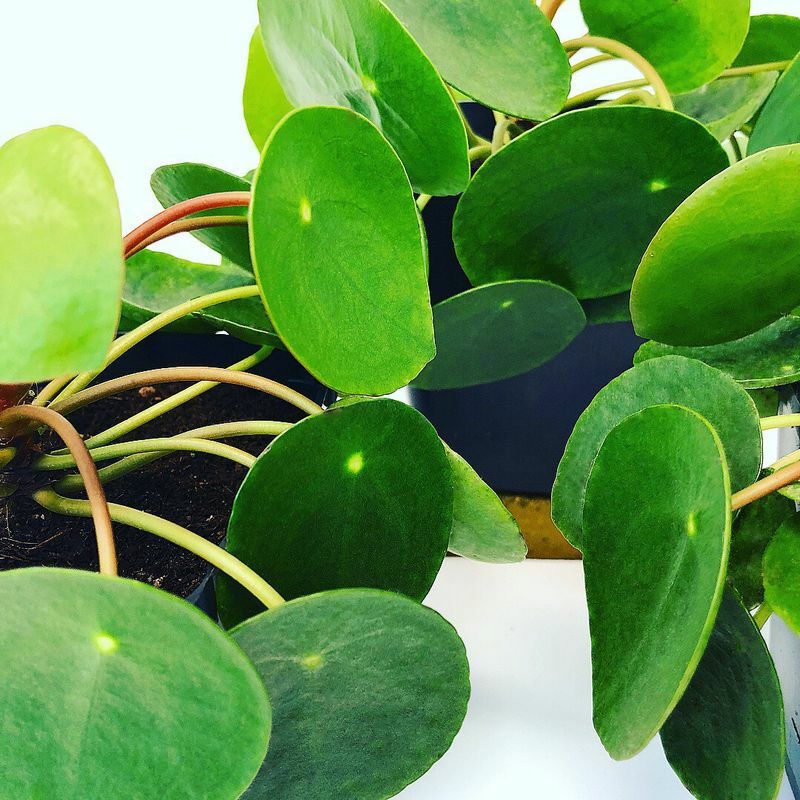 You've seen PIlea peperomioides also known as The Chinese Money Plant on Pinterest, in the pages of Vogue, and on many most wanted plant lists. Super easy and super stylish to grow. Every plant lover should have one in their collection! Plants for the people!!! Plants are available in store only. TPP Growing Herbs Workshop Sun. 4/8 12noon-2pm! Growing Herbs Workshop. Silver Lake, Los Angeles. The Plant Provocateur supplying Silver Lake, Echo Park, Atwater Village, and Los Feliz. The Plant Provocateur Spring 2018 Workshop Series continues with the brand new Herb Workshop! The Plant Provocateur brings this very special workshop to those really interested in growing their own herbs. Herbs serve as culinary, medicinal, and decorative plants from the garden. They can nourish us, heal us, and decorate our lives. There's something so gratifying and opulent about growing your own herbs. It's like growing your own magic! Everyone should try growing their own herbs at least once. The rewards can be so satisfying. This workshop will show you how to grow, divide, and tend to the successful production of your very own herbs. Each participant will divide plants, pot up their own herb pot, set up their very own Modern Sprout self-watering eco herb growing kit to take home, and receive a separate packet of herb seeds to grow at home. Participants take what they make! This is a hands-on workshop so come prepared to get dirty! Workshop fee is $60. This fee covers all materials and instruction. Space is limited! Workshop is limited to 6 people. Tickets are available through the 'SHOP' menu above. SOLD OUT!! !Houseplant Workshop For Plant Lovers at TPP Sun. 3/25 12-2pm! Houseplant Workshop. Silver Lake, Los Angeles. The Plant Provocateur supplying Silver Lake, Echo Park, Atwater Village, and Los Feliz. UPDATE: THIS WORKSHOP IS SOLD OUT! Thank you! Due to the response I will hold another soon. At Last!!! It's time to kick off The Plant Provocateur Spring 2018 series of workshops. First up is the brand new Houseplant Workshop For Plant Lovers! 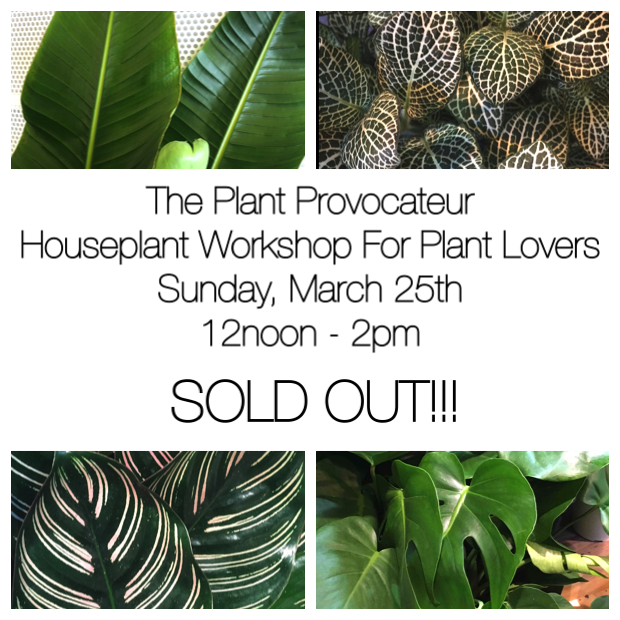 The Plant Provocateur is offering this very special workshop to those really interested in growing and knowing houseplants. Houseplants can freshen an environment, reduce stress, improve well-being, and some even help to clean the air! It's time to have some in your life, don't you think?! This workshop will get to the nitty gritty of how to give your houseplant what it needs to survive and thrive! I'll talk about soil, watering, light requirements, feeding, maintenance, and pest control. Each attendee will receive (2) houseplants and (1) pot of their very own to take home and love. We will pot up (1) of your plants together, so come prepared to get your hands dirty! Come learn about adding some houseplant style to your lifestyle profile! Workshop fee is $50. This fee covers all materials. Space is limited! Workshop is limited to 6 people. Tickets are available through the 'SHOP' menu above. TPP Open Valentine's Day 10am - 6pm! Valentine's Day Flowers and Gifts. Silver Lake, Los Angeles. The Plant Provocateur supplying Silver Lake, Echo Park, and the areas of Atwater Village and Los Feliz. The Plant Provocateur will be OPEN Valentines Day from 10am-6pm! Now for those of you that know my shop...it's a small affair. So, I have a limited number of flowers available, BUT, they're good ones. I like beautiful things. I like rich, luxurious colours, textures, and scents. I love creating with the best materials. You want something special...I'll hook you up with something. So, if you're in the hood, stop by or if parking is just not your thing, give me a call and we'll set up some curbside service. The Plant Provocateur is located in Silver Lake at 3318 W. Sunset Blvd., LA CA 90026. Phone is 323-774-4836. Valentine's Day For The Modern Day Cupid! TPP Valentine's Day For The Modern Day Cupid! Are you feeling that Love Deluxe? The Plant Provocateur is!!! Valentine's Day Bouquet PreOrders are now being taken until end of hours Sunday 2/11! All order are In-Store and Curbside Pick Up Only! Call 323-774-4836 for pricing and options. As for Valentine's Day itself, The Plant Provocateur shop will be open very special hours from 10:00am-6:00pm. Flowers will be available In-Store while limited supplies last! Other Valentine's Day gifts include the elegantly extravagant Fragrance Vase. The Fragrance Vase is designed to capture the fragrance of the fragrant flowers within! The spherical top holds and concentrates the fragrance. A sniff through the opening on top will take those who appreciate the beauty of scent to an olfactive paradise. A special edition Fragrance Vase will be available with a fragrant rose for Valentine's Day $50 (In Store purchase only). TPP Small Wreath Workshop Sun. 12/10 10am-12noon! Holiday Small Wreath Workshop in Silver Lake, Los Angeles. The Plant Provocateur supplying Silver Lake, Echo Park, Atwater Village, and Los Feliz. I am very excited to announce that The Plant Provocateur will be holding a Small Holiday Wreath Workshop this Sunday Dec. 10th from 10am-12noon.. Limit is 6 people. So here's the deal...I will be teaching you how to create a small holiday wreath that is beyond ordinary; that is something more extraordinary. We will use unique plant material that is not your everyday pine branch or dried twig. I want to open your eyes up to a world of creative possibilities that go outside of the usual holiday box. The workshop is $75 per person. This includes instruction, wreath materials, and premium plant materials. Each participant will leave with their very own extraordinary small wreath. I will share my secrets about which materials I have found make for a longer lasting wreath, as well as which materials dry beautifully. No previous experience is needed. The workshop will take place at The Plant Provocateur Shop on the patio. Please note this is a hands-on workshop, if you have garden shears and/or gloves, feel free to bring them. Additional materials will be provided. Tickets must be purchased to participate. Click the link: TICKETS to purchase. The Plant Provocateur is located at 3318 W. Sunset Blvd., Los Angeles, CA 90026. The shop is situated on the back patio behind Muddy Paw Coffee at 3320 W. Sunset Blvd., and next door to Night + Market Song Thai Restaurant. Nearest cross street is Micheltorena. Sunday metered street parking is FREE!